What, really, is the cost of culture? Is culture tangible to business bottom line or is culture an intangible behavioral science term only useful for dissertations? Culture, innovation, values, diversity, opinion. Related? Perhaps to each other, but related to the bottom line? Innovation is a function of diversity. Innovation almost always comes from an amalgam of ideas that create something new and different. In other words, you need people in your company that think differently than you. But you don’t want people who ARE different from you. Opinions are beliefs and judgments not based on certainty; held with confidence but without proof. Opinions are the raw materials of innovation. Opinions are what lead us down the path to proofs which lead to facts. Different opinions are required for innovation. Values are beliefs in which we have an emotional investment. Values are consistent. Values are the foundational blocks on which we act. Values define us. Opinions can change. Values usually don’t. Something huge has to happen to realign values, but the introduction of a new fact can change an opinion. Why spend so much time on definitions of the terms opinion and values? Simple. Hire for differences of opinion not differences in value. Too often we seek to introduce “new blood” into an organization to help us up the innovation quotient. Good plan. We want and need people with different points of view. Different opinions. That’s good. But don’t confuse a difference in value for a difference in opinion. Similar values are required for a strong, ongoing organization. Often in our hurry to inject diversity, we listen for people who have different ideas than ours – different opinions. But we gloss over the foundation for those opinions. Are their beliefs based on available information and some mental extrapolation leading to that opinion? Or are they driven from a different set of values? Are they “emotionally invested” in that point of view? Could you sway their opinion in the interview? If not – it’s probably a values issue and you want to be sure their values and the company’s line up. Ask the questions that dig deep into the reason people hold their opinion. Find out if they have different values – or if they just have a different opinion. I like the Paul Herbert, the author, making the clear distinction of opinion vs. values. I had a two posts called that strike a similar chord diversity = innovation. While qualitative diversity or quota-driven diversity goals too often compel organization’s diversity missions, I wonder the benefit gained when there is no environment to contribute divergent thoughts? Diversity training should focus less on acculturating people to accept the qualitative diversity aspects of others, but instead encourage the acceptance to cognitively, diverse contributions. An environment that encourages and supports a variety of perspectives, that truly celebrates uniqueness of thought, will assure robust thinking. It is this thinking, this cognitive diversity, that teams and organizations can maximize to increase profits. In the absence of cognitive diversity an environment of groupthink and consensus forces conformity and manufactured consent. Not only is groupthink uncreative, groupthink in a knowledge economy is dangerous to your organization’s health. If your organization is to survive and prosper your continuing challenge is to overcome groupthink. Only in an environment where unique thought is valued and protected does diversity exist. Therefore an organization%u2019s greatest challenge is to create an environment where thought is appreciated, not where push back is judged negatively, but where push back builds a better dialogue to contribute to a better conversation. When all can contribute thoughts, skills, and abilities, the entire social network benefits. Diversity is the opportunity to contribute a view and share your perspective. When an employee expects a fair opportunity to stand on their own merit, the only barrier to their advancement is their motivation. When all have comfort to contribute then motivation becomes the core work culture and inertia of sustained excellence. Diversity does not keep an organization out of public relations or legal trouble. Diversity provides opportunity. Diversity impacts an organization through opportunity, not fear. Political correctness is the enemy of diversity. Let’s revisit the candidate interview that seeks to match culture, are we really trying to identify values? If so, let’s use the proper term and make sure we update our HR strategy accordingly. My prior post looked at the return on human capital innovation and I recommended the book Googled: The End of the World As We Know It for perspective on the power of culture. 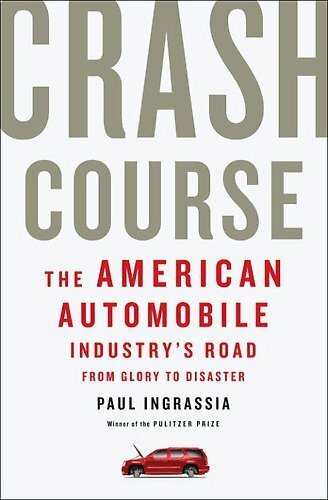 For a polar opposite view on diversity, innovation, and culture [as well as a doozy-of-follow-up-book to Googled] I recommend Crash Course: The American Automobile Industry’s Road from Glory to Disaster as a cautionary tale of an entire U.S. industry that sprang up around innovation, but within decades became crippled by success. 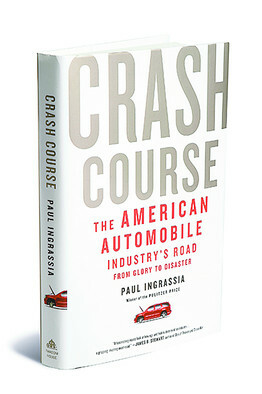 In a future post I will draw a parallel between the automobile industry to the record industry.